Sony has revealed the free games PlayStation Plus subscribers will have a chance to tackle next month. Following a huge March featuring Bloodborne and Ratchet & Clank, April will see Sony serve up 2015’s open-world Mad Max adaptation, and the antigravity arcade racing extravaganza, TrackMania Turbo. Check out a brief trailer for the new additions, below. Developed by Avalanche Studios, you star as the iconic lone warrior surviving a hostile Wasteland. Max Rockatansky’s dangerous journey begins after a gang steals his legendary Interceptor. Combining open-world vehicle combat with bone-crunching battles, Mad Max will keep you fully immersed as you fight to get your Interceptor back and make it to the Plains of Silence. A polished PS4 arcade racing game where your goal is to achieve the perfect racing time. You can hone your skills with 200 pre-built tracks, then create and share your own custom tracks to make the competition last forever. A bit of a step down compared to last month, but not a terrible lineup by any means. 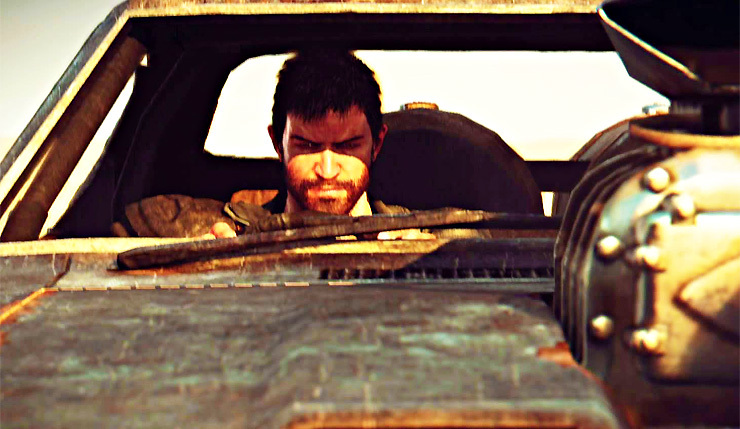 Mad Max is a solid, if somewhat dry, open-world action game, and the TrackMania titles are pretty much always a blast. Oh, and you can’t go wrong with a little Q*Bert. For those who didn’t catch last month’s PS Plus free games announcement, Sony is planning to phase out PS3 and PS Vita games in March of next year, so enjoy ‘em while you can. What are your thoughts on this month’s PS Plus lineup? Eager to tackle the Wasteland in Mad Max or some loop de loops in TrackMania, or does Sony need to step up their game?